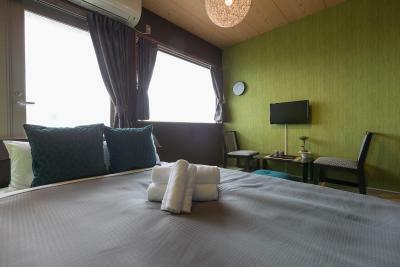 Lock in a great price for Japaning Hotel Tatsunoya – rated 9.1 by recent guests! What really impressed me was the service at reception. It was nice to have a real conversation with someone who lives in Kyoto. I’d recommend this place to anyone visiting from overseas. The room and its facilities were clean and comfortable. 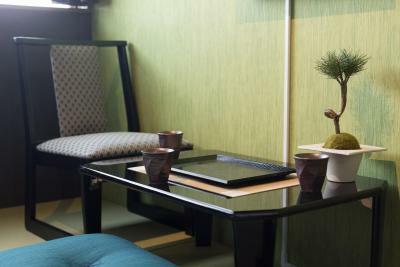 Love the japanese style room and how they arrange the function of room. 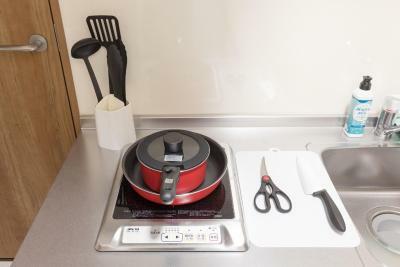 The facilities like kitchenette are more than complete enough for little family's travelling. It provides self check in that very helpful to us. The staff were nice and very helpful. They show us the daily food restaurant nearby that feels so authentic. 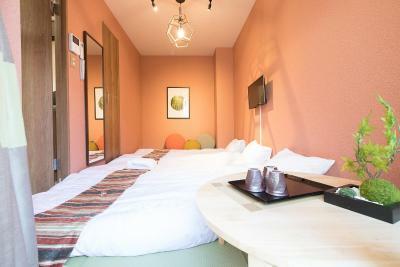 Japaning hotel Tatsunoya left a very good impression and experience of Kyoto to us. See you again. 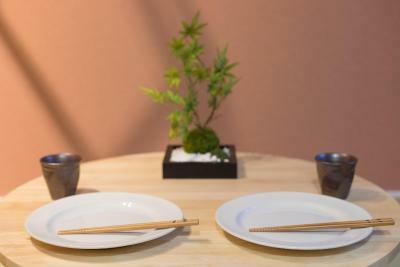 Excellent ambiance and truly Japanese style. Easy check-in and check-out. The self check-in is very easy. Very clean and bed is very comfortable. Room is small but have everything you need. 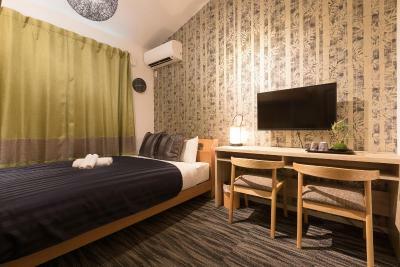 Clean room, easy access and very efficient check-in process. Cleanliness of the room was just perfect. I also loved the design and atmosphere of the room. I had a very romantic time with my boyfriend, and we both had a comfortable and great time. I also liked how friendly the staffs were. I’d like to stay again when I have chance to. 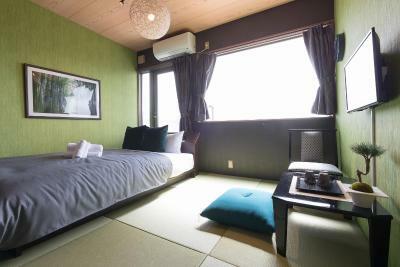 We stayed in a traditional Japanese room and slept on tatami mats. The staff was awesome and the room was very clean. What a beautiful experience! The staff of the hotel was amazing, very friendly, very funny and extremely positive. The room was not a room but a little flat. 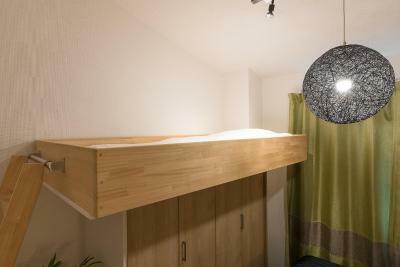 Stunning, beautiful and so comfortable beds. 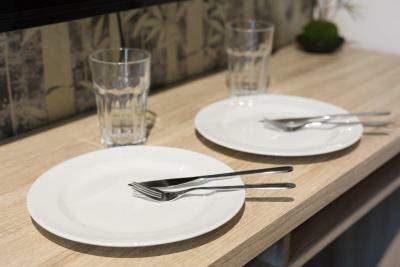 We had TV, a little kitchen, a very clean bathroom and you could borrow everything you'd need if you want to cook. 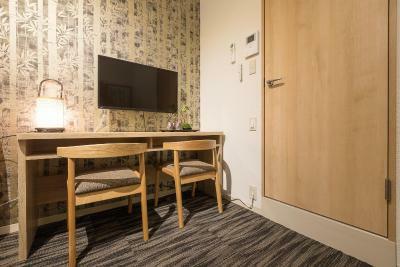 I would stay there again and again when in Kyoto, also because its convenient to get to the center and just perfect connection to public transport. Thanks for making our stay so wonderful! 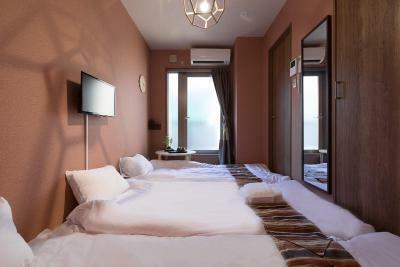 Japaning Hotel Tatsunoya This rating is a reflection of how the property compares to the industry standard when it comes to price, facilities and services available. It's based on a self-evaluation by the property. Use this rating to help choose your stay! 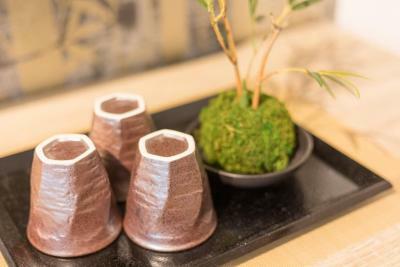 One of our best sellers in Kyoto! 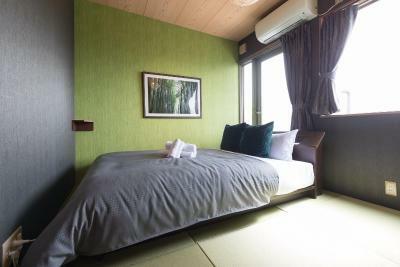 Located a 20-minute walk from Tofuku-ji Temple, Japaning Hotel Tatsunoya has rooms with air conditioning in Kyoto. 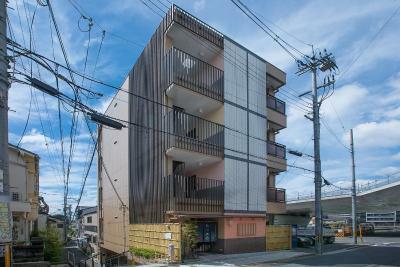 The property is around 1.1 miles from Sanjusangen-do Temple and 1.4 miles from Fushimi Inari Taisha Shrine. Kiyomizu-dera Temple is 2 miles from the property. 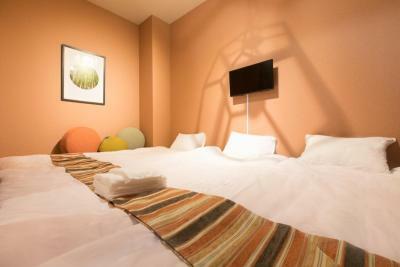 All guest rooms in the guesthouse are equipped with a flat-screen TV. 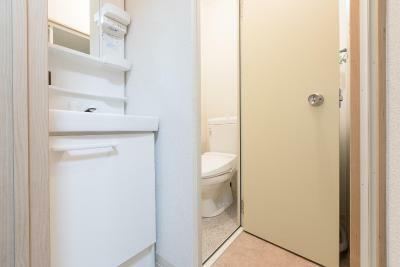 Some rooms include a kitchen with a microwave, a fridge and a stovetop. 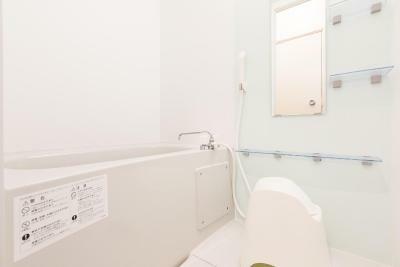 At Japaning Hotel Tatsunoya, the rooms come with a private bathroom with free toiletries and a hair dryer. Kyoto International Manga Museum is 2.7 miles from the accommodation. 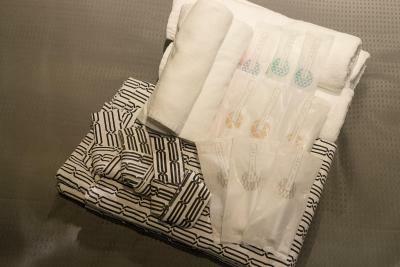 The nearest airport is Itami Airport, 28 miles from Japaning Hotel Tatsunoya. 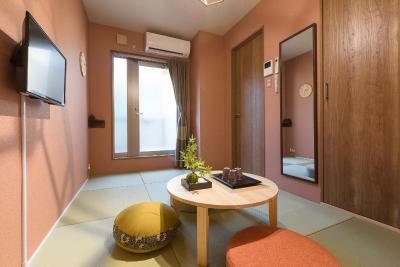 When would you like to stay at Japaning Hotel Tatsunoya? Area Info – This neighborhood is a great choice for travelers interested in old-town exploration, walking and atmosphere – Check location Great location - show map Guests loved walking around the neighborhood! 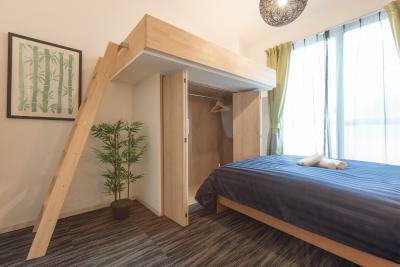 House Rules Japaning Hotel Tatsunoya takes special requests – add in the next step! Japaning Hotel Tatsunoya accepts these cards and reserves the right to temporarily hold an amount prior to arrival. 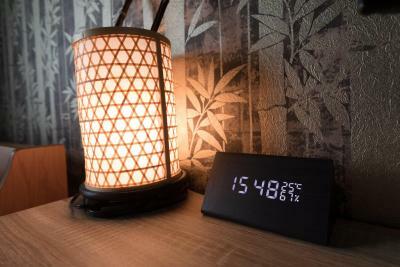 Please inform Japaning Hotel Tatsunoya of your expected arrival time in advance. You can use the Special Requests box when booking, or contact the property directly using the contact details in your confirmation. The location felt a little unsafe, it faced a railway line and an road overpass. I do not know if that is considered a dodgy area for Japan but it did heightened my awareness . There was no lift, and the rooms were not secured on the road, though each was secured at the front door. However, there was no drama. The room was airtight, so there was loads of condensation on the windows. The place needs to fix that ASAP or they’ll end up with mouldy furnishings. The mats are very thin, but they do offer extra if you ask. Price charge is per individual. So I considered it as expensive. Overall good experience. Not much to comment. Our bed wasn’t made and sheets were not changed until we asked for it. 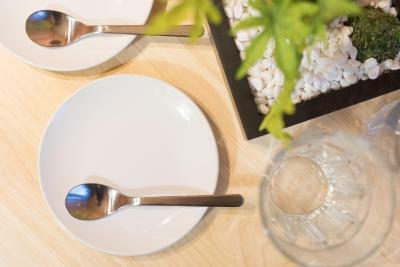 Also fork left in the sink remained untouched for whole duration of our stay (it was an experiment whether it gets washed or not). Additionally water in the shower was only warm, not hot but when we asked to adjust it then it was perfect. 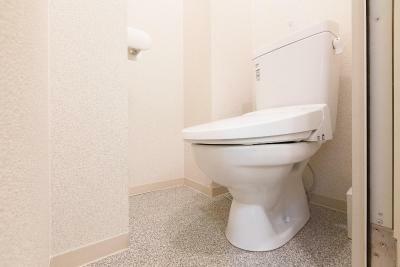 The room is perfect for 2 people, but not good for 3 people. I loved the hotel very very much. The room was big enough to stay comfy for 2 people. The room was clean. The staff was so lovely, nice and kind to help. Before, checking-out, we lost our sunglasses at the room and the staff was very kind to help and vwe The location was not far from the JR Tofukuji station and also the Tofukuji Temple. I'm very recommended to stay there and would be back for sure. The room was rather small to fit a triple. There is no space to open your luggage unless you fold up the futon bed for the third person. There is no elevator and the stairs are narrow...if you come with big suitcase, it’s better to tell to hotel to offer rooms on lower floor. 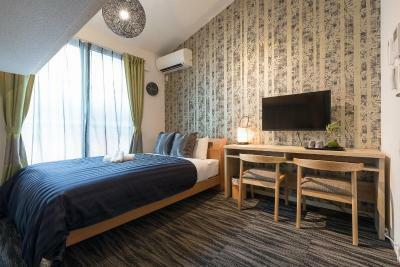 The location is good...5 mins walk to Toufukuji station and on the way there are local restaurants and convenient stores. Room is clean and the bed is comfortable. 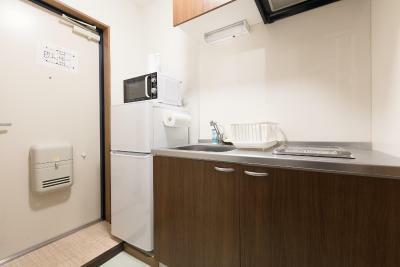 Equipped with small kitchen and even a wash machine. Very compact room..
Slightly outside main areas, still very accessible through public transport though. Close to a main road, but no noise of notice in my room. 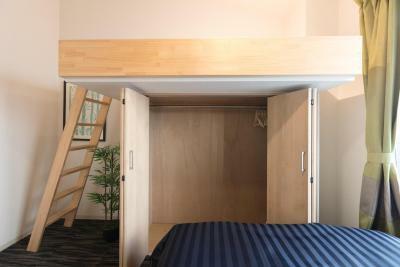 Very nice, clean and tidy apartement. 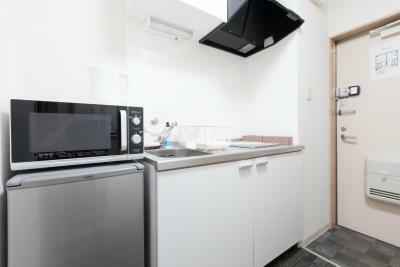 Especially kitchen and bathroom with washing machine was a good addition. 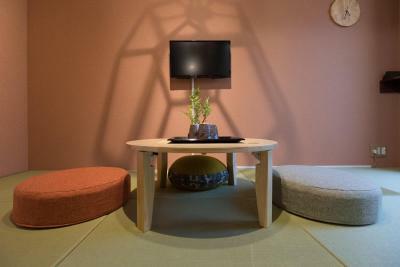 The main room felt authentic Japanese, and added value to my stay. Very friendly staff.